The Return. And An Upgrade. It was inevitable. The site would crash only two years after the last time. The cause, ironically, was renewing this domain, which was under another domain I owned but ultimately did not use. It was also on a server I owned space on since about 2006. It was ancient, and I frequently got Jet Pack warnings that it would go offline around 3 AM. So when I renewed tshottle.com, it somehow confused the hell out of my provider’s DNS. Exporting the backup of the database did not work. Nor did exporting the WordPress folder. 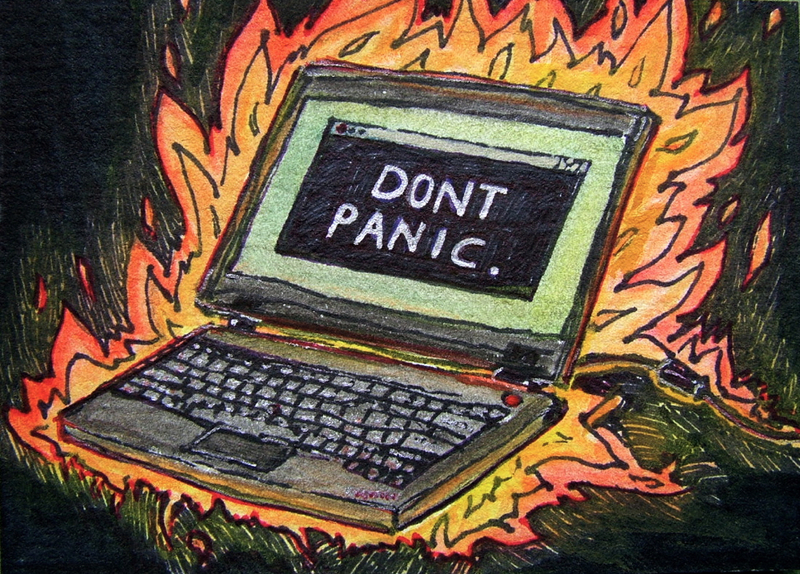 Yes, I, the IT professional, did not backup his own WordPress site. But the site was due for an overhaul. And rather than timidly build a site from scratch only to abandon it when the theme didn’t work, I downloaded something more robust than the old Red Line Theme. I chose Lyrical, which was mobile ready. It also had Beaver Builder integrated with it. The makes for easier layouts and more responsive sites. It’s still a work in process. I need to condense the Compact Universe page, and I need to add a page to serialize No Marigolds in the Promised Land. But enough about me. For my first real blog post, I’m going to promo two friends of mine. First off is Michael Dirk Thalmann, who graced me with an audio copy of his novel 13 Lives of a Television Repair Man. 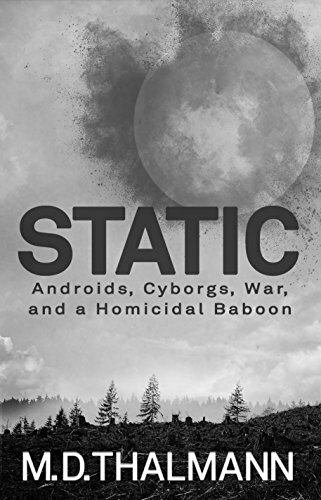 He’s brought out his more complex novel, Static, an apocalyptic novel that is an almost Burroughs-like sendup of consumerism. Elliot Glassman’s ambitions transformed the world, the fractured it, leaving Earth ruled by factions of savages. Oh, and there’s a homicidal baboon bent on revenge. Yeah, it’s that type of novel. Complex, funny, and raunchy, Thalmann spins a chaotic tale of a world in chaos. And a cautionary tale of making baboons sentient. That’s just insane. Pick it up here. The other friend is my celebrity crush, Jenn Nixon. 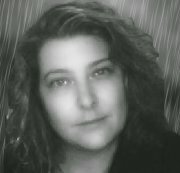 Jenn has produced an Agents of SHEILD-styled series called MIND. A group of human-like aliens have found themselves on Earth trying to assimilate. They band together to prevent the events that brought them to Earth or resulted in their birth here from happening again. Intrigue, romance, and quite a bit of Marvelesque reality make this series one not to miss. Check it out here. We’ll be back to the regular content tomorrow with the latest No Marigolds not yet blogged. And then I’ll be pontificating on The Orville, Neal Asher, and this week’s Friday flashback.